Click here to register for the 2018 symposium. Kruger National Park Conservation Fees ** Please note that this fee has been waived for Symposium Attendees ONLY on Friday and Saturday. The conservation fees for the other days (not 8 and 9 June) will be paid at the Conference Centre Welcome Desk while checking into your accommodations. 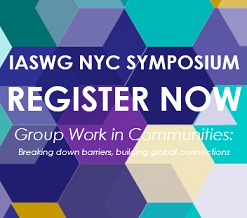 Accompanying Persons will still need to pay unless they register through the IASWG Symposium site as an accompanying person at the $100 rate. CANCELLATION POLICY: Cancellations must be requested in writing to the Symposium Organizer, Emily Wilk, by email: [email protected] A full refund will be provided up until 1st of June, 2018. After 1st of June, 2018, no refunds will be provided. If you would like to bring your partner or your family with you to the symposium, we offer an accompanying person registration rate which includes Friday breakfast, 2 lunches (Friday and Saturday), 2 days of paid conservation fees (Friday & Saturday), and 4 coffee/tea breaks (Friday & Saturday). For an additional cost, they are welcome to attend the Wednesday Community Visit ($50/person) and Saturday Gala Bush Braai ($50/person). Register your accompanying person, as part of your registration, through our symposium registration portal. We have family cottages on offer for families – please visit our Accommodations tab for more information.. Please email through your special requests so that we can provide you with the best options for your family’s needs. Meal options: Skukuza camp has a few different restaurants to choose from. From fine dining to toasted sandwiches. The camp even has its own grocery store. So if your family would prefer to self-cater for breakfast and lunch, they have that option too. This tour takes you through the Panorama route of Mpumalanga. It features Blyde River Canyon, Graskop, Bourkes Luck Potholes, God’s Window and waterfalls en route. There is an elephant sanctuary in the town of Hazyview that offers you the chance to interact with these incredible animals. You can choose between an elephant interaction or even an elephant outride. Followed by lunch and shopping in Hazyview.